Today when connected to my Home Lab there was something missing in my environment, i checked again and recalled the number of Virtual Machines i created 4 ESXi, 2 vCenter Servers, 1 Domain Controller, 1 Openfiler ,1 NAS, is that all ? If in case you have missed the old post in which we discussed about the installation of all the above and also the underlying hardware where we have installed here is the link for your Quick Reference In Love with My new Home Lab and My New VMware Home Lab is Spinning. 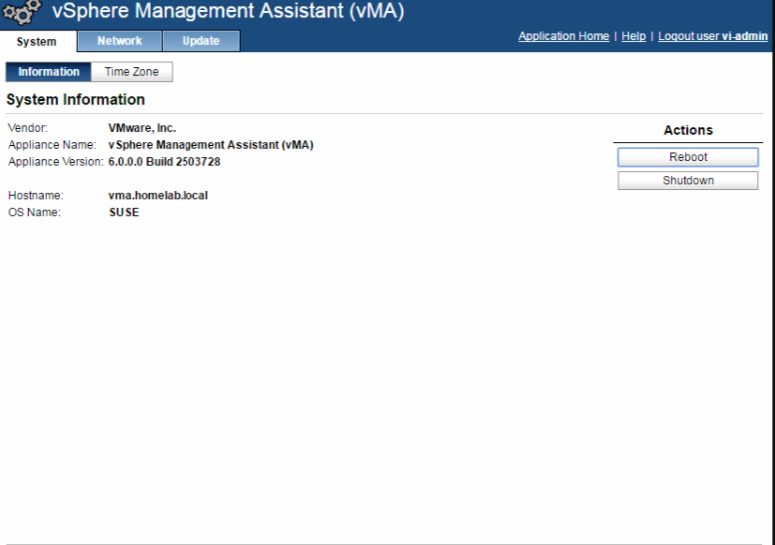 Without wasting time further i Downloaded the vSphere Management assistant appliance v6 installed and configured in my Home Lab because it was really hard for me to imagine my VMware Home Lab running without vMA. vMA is available as an appliance and entire configuration related IP Address, DNS,Subnet Mask can be done by opening https://FQDN/IP of vMA : 5480. 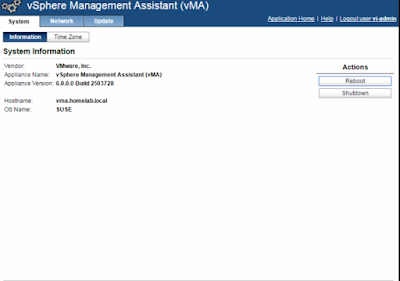 Now that when we have seen what is vMA and how we can add ESXi and vCenter Server as server targets in vMA it's time to proceed further and play with vMA. 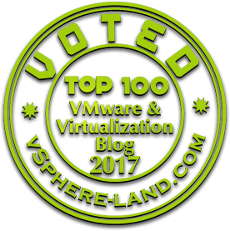 Initially i have added two ESXi's and one vCenter Server in vMA now i can run all ESXCLI command against my ESXi host which was the main purpose of Installing and Configuring vMA in first Place. 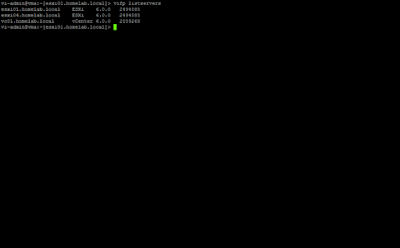 Connect to ESXi on which you wish to run ESXCLI command likewise i have connected to my ESXi04.homelab.local. Post connecting to my ESXi using vifptarget -s esxi04.homelab.local i executed ESXCLI Command to check if i am able to Execute it ! Executed another command to add the ESXi thumbprint to vCenter Server Certificate Store. 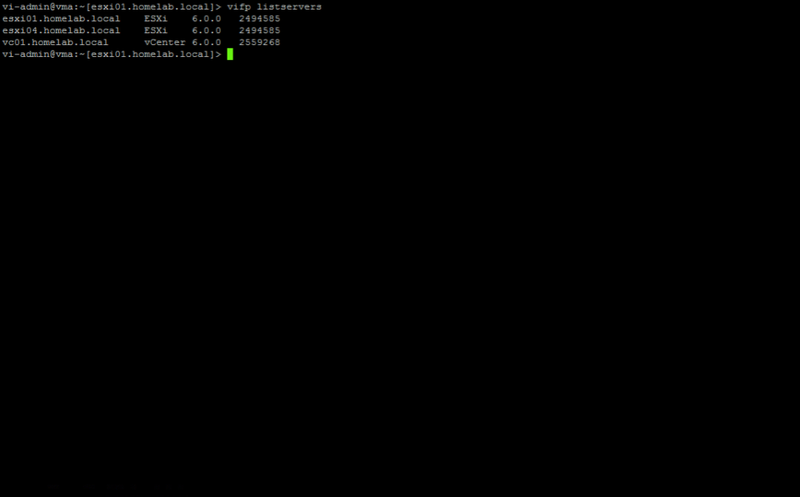 /usr/lib/vmware-vcli/apps/general/credstore_admin.pl add -s server -t thumbprint. Where server is the name of my ESXi (ESXi04.homelab.local) and thumbprint is the one which we have collected from the last Failed command.